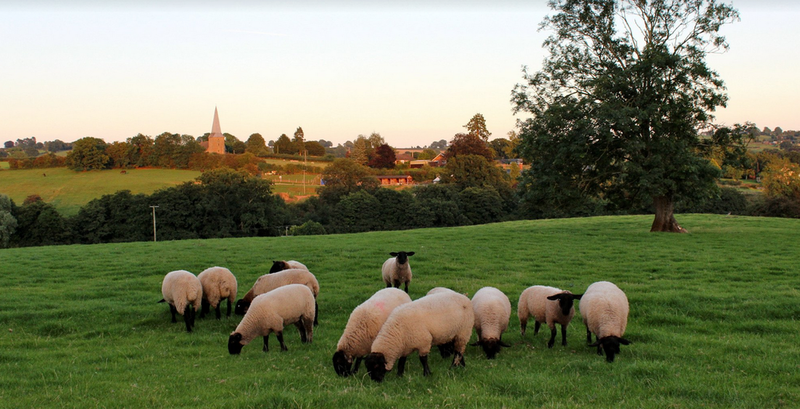 We are a small family run livestock farm of approximately 40 acres with a traditional cider orchard. We have a flock of 100 sheep, mainly Suffolks, 20 hens, two horses, four dogs and 300 pigs. The farm is managed under Natural England's Higher Level Stewardship Scheme. This scheme allows us to do Educational Tours of the farm to interested groups which vary from primary schools to WI, U3A and other Countryside Groups. A map of the farm is available upon request and there are bridle gates between each field to aid access. We also have an external toilet block with disabled facilities. Guests dogs and/or horses are allowed to use the fields but please ask which fields are available each day.